Join us at the 2019 Abbe Museum Indian Market! This May the Abbe Museum Indian Market (AMIM) is all set to take over Bar Harbor’s Village Green once again for a weekend long celebration of Native art and artists. And we could use your help! As a volunteer you will experience AMIM in a way the average visitor will not. You'll meet cool people, be inspired by amazing artists, and learn about different Indigenous cultures from across North America. All while supporting a great cause and giving back to your community. Volunteer opportunities are listed below. If something catches your eye contact Jill Sawyer at jill@abbemuseum.org or 207-288-3519 to sign-up or learn more. Thank you in advance for your support, we are excited to work with you! Stationed at an entrance to the Village Green, greeters will be responsible for orienting visitors to the event and will take turns doing walk-throughs to make sure everyone is having a great time. It’s a fun and easy way to help out, all while meeting new people and enjoying the beautiful May weather. Like greeters, volunteers stationed at the Abbe Booth will be on hand to address visitor needs. This involves answering questions, chatting about other Abbe Museum initiatives, or selling AMIM merchandise. If you get excited about giving directions or have a lot of opinions on where to get the best food in town, this may be a good fit for you! Assigned to a specific section of the event, this role will be responsible for making sure that the artists attending the Market are taken care of. This encompasses anything from handing out snacks, giving them breaks, or just chatting with them about their experience - a little bit of your time will have a big impact. Volunteers assisting with Set Up and Breakdown will be on hand to transform the Village Green into the Abbe Museum Indian Market...and back again. Kind of like a fairy godmother, but with tools instead of a magic wand! Set up will be taking place on Saturday morning, with breakdown occurring on Sunday evening. 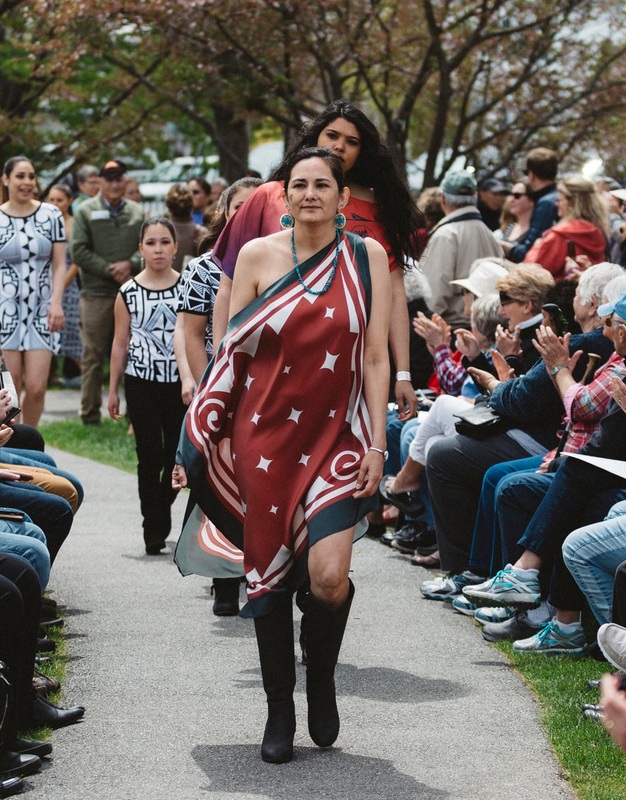 See some amazing Native designed clothing up close and get to meet the artists behind the looks, by volunteering as a designer’s assistant at this year’s Abbe Museum Indian Market Fashion Show. In this role you will be assigned to help one designer in the hours leading up to the show, this could involve anything from fitting models to steaming garments and beyond. Assistants will need to be on hand from noon on Saturday to the close of the show. We’re looking for volunteer models to walk the runway in the Abbe Museum Indian Market Fashion Show on Saturday, May 18. Here’s your chance to strut your stuff in some fabulous Native designed clothing representing everything from couture looks to street wear. Models will need to be available on Saturday at 12 pm, with the show being from 6 - 7. On July 7th, from 10 am to 4 pm the Native American Festival and Basketmakers Market will celebrate its 25th year! The festival is an opportunity to meet and mingle with local Native artists and see their amazing work, all while learning about contemporary Wabanaki art and culture. And in order to make it happen, we could use your help! This year your support is especially important because the Festival is moving into downtown Bar Harbor and taking over the Abbe Museum backyard. Exciting changes lead to more volunteer opportunities, so be sure to read on to see this year’s needs – just a few hours of your time will have a big impact. If you are interested in lending a hand, please contact Jill Sawyer at 207-288-3519 or jill@abbemuseum.org. We can't wait to work with you! Volunteers assisting with Set Up and Breakdown will be on hand to transform the backyard into the Native American Festival...and back again. There are 2 opportunities to help -- set up will be taking place the day before the event on Friday, July 6 and breakdown will be directly after the festival closes on Saturday, July 7 at 4 pm. Once the event is set up it is time for the artists to come in and make it come alive. We could use a handful of people to help artists get settled and assist in their booth set up. Set up will begin at 7 am on Saturday, July 7 and end at 10 am. Stationed at an entrance to the backyard, Greeters will be responsible for orienting visitors, answering questions, and potentially taking donations. It’s a fun and easy way to help out, all while meeting new people and enjoying the beautiful July weather. **Must be comfortable handling cash. At the Abbe Museum's information booth you will get to talk about all of the amazing things that are happening at the Museum, answer questions about the event, and even sell raffle tickets. It's a front row seat to the festival and a great way to meet interesting people. To celebrate the 25th year of the Native American Festival, we will be raffling off this beautiful Gabriel Frey Market Basket. If you have always wanted to own a Gabriel Frey piece, now is your chance! We will be raffling off this basket from now until July 8, 2018. Tickets are available in the shop, online, and at the Native American Festival on July 7 – 1 for $2.00, 3 for $5.00, 7 for $10.00. You won’t want to miss out on adding this piece to your personal collection. The winner will be announced on July 8, so grab your tickets today and support the Abbe as we change lives through learning! THE RAFFLE IS NOW CLOSED. Thank you to everyone who participated! The Native American Festival and Basketmakers Market celebrates 25 years on July 7, 2018, with a new location at the Abbe Museum’s downtown location. The Festival is free and open to the public and features the celebrated Native arts market, Native music, dance, storytelling, craft demonstrations, and a silent auction. A collaborative partnership between the Abbe Museum and the Maine Indian Basketmakers Alliance (MIBA), the Festival offers visitors, collectors, and gallery owners the opportunity to buy directly from the artists. This nationally renowned event features one-of-a-kind handcrafted Wabanaki ash and sweet grass baskets, wood and stone carvings, jewelry, beadwork, painted drums, and other items representing the beauty and culture of the Maliseet, Micmac, Passamaquoddy, and Penobscot people in Maine and the Maritimes. For many visitors, this is a rare opportunity to meet the artists and learn about contemporary Wabanaki arts and cultures. The Abbe Museum is expanding its marketplace for Wabanaki artists with the development of the Abbe Museum Indian Market (AMIM) each May and the Festival will continue to serve an important educational and economic role for the community alongside AMIM. As sister markets, the two offer a range of opportunities for the public to engage with Wabanaki artists and educators. The Festival serves as a non-juried, non-competitive marketplace. It is accessible to artists who are beginning their careers and interested in working alongside seasoned artists who have done larger markets. MIBA, as part of its mission to preserve and extend the art of basketmaking within the Wabanaki communities, is responsible for bringing in dozens of new “next generation” basketmakers and their families to the event. At the time of MIBA’s founding in 1993, there were fewer than a dozen basket makers younger than the age of 50 statewide that were still practicing and learning this ancient and once prolific art form. Through 25 years of educational programs and marketing efforts, MIBA has lowered the average age of basket makers from 63 to 40 and increased numbers from 55 founding members to 200+ basketmakers today. Sponsored generously by Maine Public, there is undoubtedly something for everyone at the Native American Festival and Basketmakers Market. Proceeds support the non-profit teaching and apprenticeship programs of MIBA. The Festival gates are open from 10 am to 4 pm in the Abbe Museum’s backyard at 26 Mount Desert St in Bar Harbor. 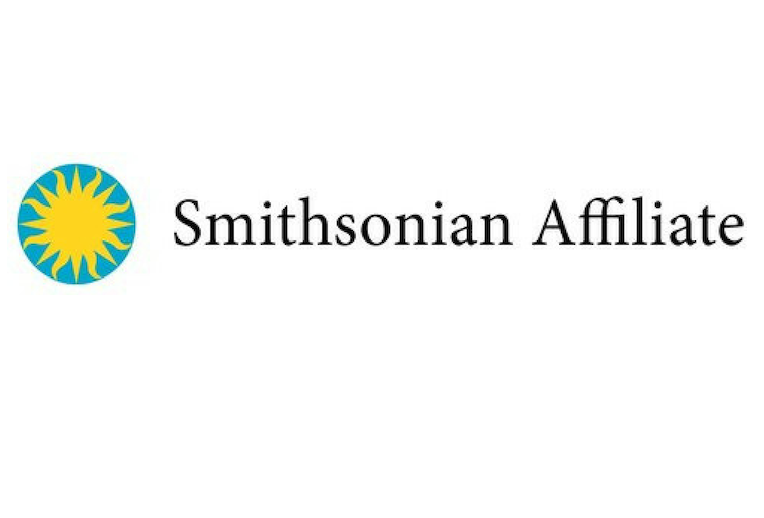 The Maine Indian Basketmakers Alliance is a nonprofit Native American arts service organization focused on preserving and extending the art of basketmaking within Maine’s Native American community. MIBA seeks to preserve the ancient tradition of ash and sweetgrass basketmaking among the Maliseet, Micmac, Passamaquoddy, and Penobscot tribes. The Abbe Museum is gearing up for our 17th annual Waponahki Student Art Show, in collaboration with Maine Indian Education. This art show and artist reception always bring together a wonderful variety of art created by more than 50 Passamaquoddy, Penobscot, Maliseet, and Micmac students from early childhood education through high school. All the artwork will be on display in the Abbe's Community Gallery for six months. As an award for having their artwork selected for this fan-favorite show, each student receives an art supply kit consisting of a few items to feed their artistic passion - sketch pads, paints, paint brushes, charcoal, pencils, pencil holders - and a framed certificate. The Abbe has been able to produce these popular kits through the support of Maine Indian Education and generous donations from community members like you. For just $25, you can sponsor one of these art supply kits, ensuring that each student receives an award for their creativity. We need at least 50 kits this year. Each sponsor will have a kit named in their honor, as well as receive an invitation to the Waponahki Student Art Show reception held in May, which is usually a private reception reserved for students and their friends and families. The exhibit opens to the public in early May. Please join us. Spread the word. Make a donation. 100% of your gift will directly fund these student art supply kits. Thank you for inspiring a young artist! More than 75 Native American artists and performers from 35 Nations across the U.S. and Canada will attend the inaugural Abbe Museum Indian Market (AMIM) on May 18-20, 2018, in downtown Bar Harbor. The event will also include a fashion show, film festival, storytelling, dancing, music, and other internationally acclaimed performers. "Choosing downtown Bar Harbor as the location for an Indian Market was definitely a strategic decision," Abbe President/CEO Cinnamon Catlin-Legutko said. "Wabanaki people and their ancestors have lived in Pesamkuk, this place we now call Mount Desert Island and Frenchman Bay, for thousands of generations." In what is known as the encampment period, from about 1840 to 1920, Wabanaki lived like the other residents of Maine, speaking English but retaining cultural values, language, and limited privileges. Artists and craftsmen would travel to tourist areas, like Bar Harbor, in the summer to sell baskets and other items supplementing their income. They offered guiding services and other services and performances of traditional music and dance. The purchasers were the seasonal residents known as “rusticators” – people like the Abbe Museum's founder, Dr. Abbe, and his colleagues who were drawn to the natural beauty of the Maine coast. 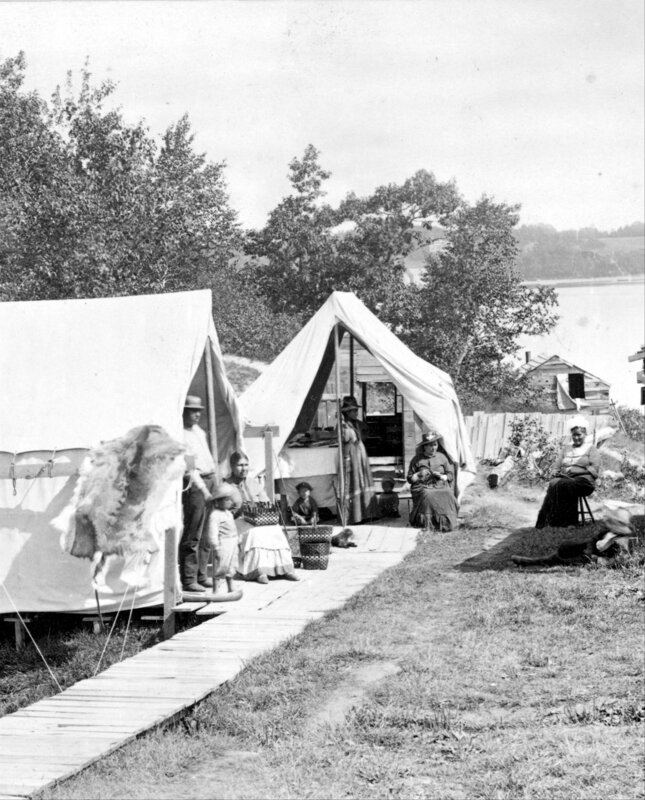 These summer encampments were both the tribal members’ homes and retail outlets. Bringing people together at the encampments and the market for Native baskets and other goods helped to sustain Native culture and community. When the encampment period ended, Wabanaki became largely invisible to non-Native Maine, but they continued to live in their communities, sustaining their cultures. Small festivals are found throughout the year in Maine, but a juried Indian art show is relatively unknown in the Northeast. Award-winning Wabanaki artists like Jeremy Frey, Theresa Secord, Emma Soctomah, Geo Neptune, and Sarah Sockbeson travel out West each year to participate in the Indian Arts marketplace, and they’ve repeatedly taken top prizes. By creating this event, the Museum will shine a bright light on Wabanaki artists and deepen the economic impact of art making for tribal communities. Curator emeritus Elizabeth Weatherford from the National Museum of the American Indian is working with the Abbe Museum and Film Festival host Reel Pizza Cinerama to screen and select Indigenous films, which will be shown all three days of the event. The highly anticipated fashion show will showcase Native American fashion and accessories representing both couture and contemporary looks. Award-winning vocalist, composer, producer, and activist Jennifer Kreisberg, Tuscarora, will take the stage several times throughout the weekend of the Market. Kreisberg comes from four generations of Seven Singing Sisters through the maternal line and is known for fierce vocals, soaring range, and lilting, breath-taking harmonies. The Museum will communicate more details about the Market on their website www.abbemuseum.org/indianmarket, including information about lodging, travel, and additional special events. 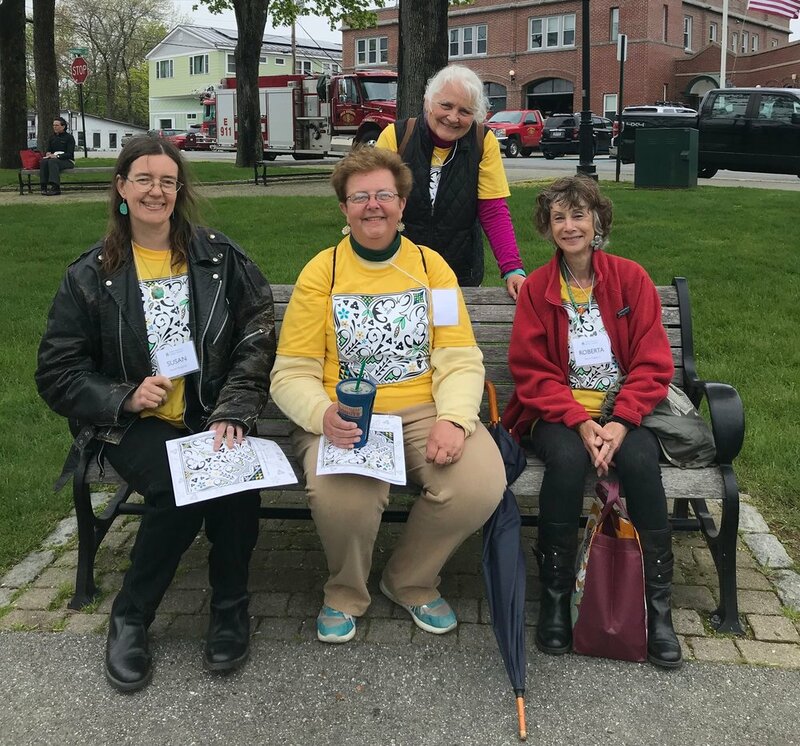 Anyone interested in volunteering can get in touch with Jill Sawyer, Associate Director of Advancement, at jill@abbemuseum.org or 207-288-3519. The Abbe Museum is excited to announce a new exhibit coming to its main gallery in April 2018, Emergence - Root Clubs of the Penobscot Nation. This exhibit celebrates a uniquely Wabanaki art form, a centuries-old craft that has frequently been dismissed by museums and academics as not “traditionally” Wabanaki. The exhibit opens on Friday, April 6, 2018, and an opening reception will be held that evening from 5-7 pm. The exhibit highlights the diversity of past and contemporary themes found in root club carving. Each club is made out of a sapling, with the slender trunk becoming a chip-carved handle and the complex wood of the root ball’s burl transformed into evocative representations of people and creatures. Some are painted; some have ornaments attached. Root clubs have been viewed by museums and anthropologists as “tourist art,” not “traditional” enough to warrant a place in museums. Decades of research by exhibit curators Stan Neptune and Joan Lester have built the body of evidence to show that this uniquely Wabanaki form, in fact, is very much a part of Wabanaki traditions going back centuries or more. And while new styles have been created over the years to support an economy tied to tourism, the earlier forms have continued and are still being made today. and how private collectors came to value and protect these critical pieces of cultural heritage. As with all projects, the Abbe’s decolonizing vision is paramount with this exhibit. Through representation of this art form, based on the experience and shared knowledge of a Penobscot carver and information from Wabanaki carvers and culture-keepers over the centuries, the story of Penobscot root clubs will emerge as it should have long ago. The opening reception on April 6, from 5-7 pm, is open to Abbe members, donors, and sponsors. To receive an invitation, please email jill@abbemuseum.org or call 207-288-3519. Guests are invited to celebrate with curatorial staff, artists, and fellow supporters while snacking on refreshments from local eateries. The Abbe Museum's winter hours will be in effect through April, with the Museum open Thursdays through Saturdays, 10 am to 4 pm. The Museum is open seven days a week from May 1–October 31st every year. A few years ago, with the help of a generous donor, the Abbe Museum launched the Friends of the Collection Fund to help us make purchases for our permanent collection. 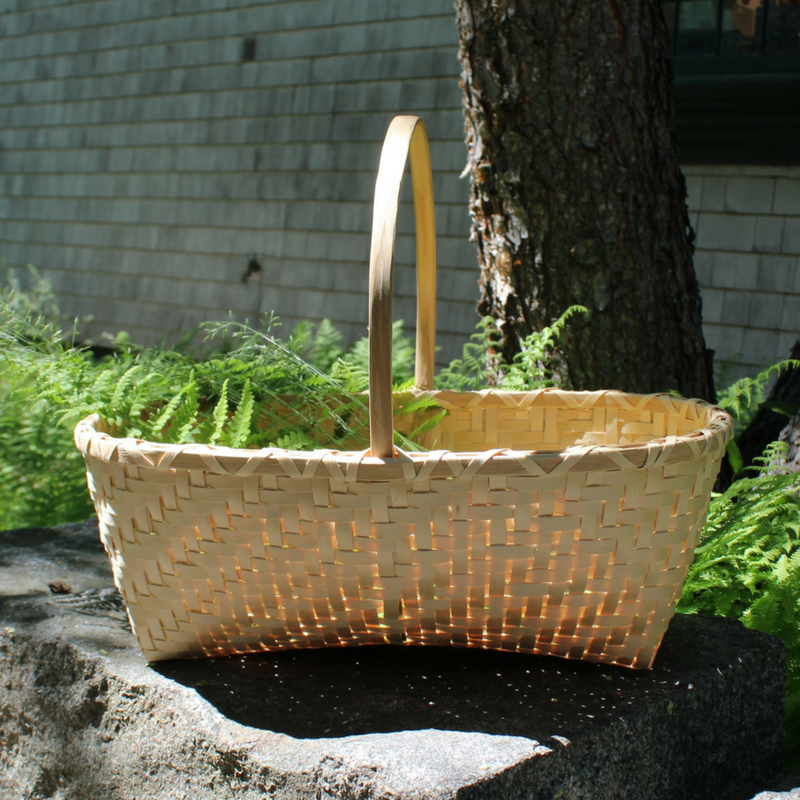 With this support, we've been able to buy baskets by important Wabanaki Master Basketmakers like Sarah Sockbeson, Jeremy Frey, and Molly Neptune Parker. And sometimes, we've also been able to respond when interesting objects are made available by auction or by an individual seller, and we've added some of these unique items to our collections from Decontie & Brown, Gina Brooks, and James Eric Francis, Sr. In all honesty, though, our biggest hope for this fund is to be able to buy art and objects that have significance to Wabanaki people and the Abbe. So often, significant pieces are difficult to buy when they are on the open market or a collector makes the purchase before we are able to raise the funds. We are in this challenging position now. Passamaquoddy artist, father, husband, friend, culture-keeper, and Abbe trustee David Moses Bridges passed away earlier this year. As with any creative soul, he was working until his last days. Thanks to his widow, Patricia, we have the opportunity to purchase three pieces of birchbark art for the Abbe's permanent collection. And, with the support of David's extended family, Patricia has offered this opportunity to us first as we have the largest collection of David's work in the world and it means a great deal to hold his work in the Wabanaki homeland. Considering the Abbe Museum as their first choice, David's family wants to honor his strong commitment to this institution and its process of decolonization. We have the first right of refusal on these gorgeous pieces of art and history and we would like to exercise this right with your help. By making a gift today, you can help us reach our fundraising goal of $9,100 before the end of 2017. You can donate by clicking the button at the bottom below and making a gift or sending a check to the Abbe with the notation "DMB purchase" in the memo. Images and detailed descriptions of these pieces are listed below. Thanks to your generosity, we have raised half of our goal of $9,100, which means we are able to purchase one of the three pieces that David's widow, Patricia, offered! Specifically, the birchbark box that David was working on at the time of his death in January 2017 (featured first below). Thank you for making this opportunity a possibility. We couldn't have done it without you! The Friends of the Collection is an ongoing campaign, so anyone can donate at any time. Thank you for being a friend of the collection! This box is the last one created by David before his death in January 2017. It remains unfinished on the lashings on the top, and yet is still so beautiful. David chose to leave the bark on this piece undecorated so that people could more fully appreciate the natural beauty of the bark. This etched box so vividly reflects David's artistic hand. The double-curves are distinctive, David's own interpretation of this traditional Wabanaki symbol. It is fully decorated inside and out, with the inside of the cover and both the inside and outside of the bottom of the piece elaborately etched. This piece was included in the Peabody Essex Museum exhibit Branching Out: Trees as Art from September 2014 to September 2015. In his last years, David was exploring new shapes and designs for his art pieces. In this context, he made this sheath to carry his knife, a wonderful example of how art and function come together in David's work and in Wabanaki use of birchbark. The sturdy bark is a full 1/8" thick. Thank you for being a friend of the collection! This fall the Abbe Museum Shop is celebrating baskets! And we couldn’t talk about baskets without mentioning a longtime friend of the Abbe’s: Fred Tomah. Fred Tomah is a Master Basketmaker and one of the only Maliseet basketmakers in Maine. He has been making brown ash baskets for nearly 35 years, an artform that was passed down to him by his ancestors (who learned it from their ancestors). Interwoven into this long-standing history is a distinct style that makes each Fred Tomah basket uniquely his. You will definitely know a Fred basket when you see it! If you have always wanted to own a Fred Tomah basket, now is your chance! We are raffling off this beautiful black and white Mt. Katahdin weave basket. Tickets are available both in the shop and online – 1 for $2.00, 3 for $5.00, 7 for $10.00 – and you won’t want to miss out on adding this to your personal collection. The winner will be announced on November 1st, so grab your tickets today and support the Abbe as we change lives through learning! This raffle has closed. The winner is Kathryn MacLeod from Falmouth, Maine! Jill Sawyer is the Abbe Museum's Advancement & Gallery Associate. She provides advancement support for the income generating activities and daily operations of the Abbe Museum and is also responsible for building and strengthening relationships with Native artists. In 2013 she spent 3 months in Manila, Philippines, evaluating the Museo Pambata’s Mobile Library Program. This experience became the foundation for her master’s thesis, which discusses the importance of advocacy and community outreach in museums. Indigenous Peoples' Day has been picking up steam the past few months as the city of Los Angeles adopted the holiday and, more locally, Bangor, Orono, Portland, and Brunswick all made the switch (Belfast did so back in 2015). So what is Indigenous Peoples' Day? It's a holiday to honor and celebrate Indigenous peoples and cultures of this continent. At its infancy, the holiday began as a counter-celebration to Columbus Day, observed on the second Monday in October to commemorate the arrival of Christopher Columbus in the Americas. As it has grown and been adopted by many localities, the day has turned into a celebration of Native history and culture in the Americas. You might be asking though, why? For the past 525 years, Native Americans have been adapting to and resisting the legacy of Columbus and colonization in our homelands. The consequences of Columbus’ arrival and his attitude and dealings with Indigenous people set in motion the foundation of the Atlantic slave trade, state-sanctioned theft, and genocide. Colonization is a violent and deliberate process of appropriating land and resources to secure wealth and power over an area of land. Colonization is also an on-going process; celebrations of Columbus only exacerbate the colonial realities in which we live. What do we celebrate when we celebrate Columbus Day? We celebrate the deaths he caused, we celebrate colonization, and we celebrate slavery. Are these things worthy of celebration? Certainly not, as conscious citizens, it is vital to be critical and engaged in the reality of colonial celebrations that further serve a colonial purpose of re-telling history so that it is more palatable for the masses. Indigenous Peoples' Day is a way for people to become engaged in issues that affect Native communities and learn directly from those in Indian country about history, culture, and contemporary issues. At the Abbe, we will be hosting an impressive amount of programming to celebrate Indigenous history and culture in Maine. We are pleased to have John Dennis, Mi’kmaq, with us for the day on Monday, October 9th. He will host a hand drumming session on our front patio to kick off the celebrations, welcoming all people into our museum spaces. Later John will host a storytelling hour where he will share traditional Wabanaki stories inside the Museum. Throughout the day we will have plenty of opportunities for families to learn and have fun whether on a free People of the First Light Tour or in our Learning Lab where we will have crafts, educational touch tables, and other engaging activities. We look forward to seeing you at our downtown location on October 9th! The Abbe Museum is excited to announce the 2017 Wabanaki Artist Fellows: Donna Brown, Penobscot, Jeremy Frey, Passamaquoddy, and Geo Neptune, Passamaquoddy. These exceptionally creative artists – who through color, language, form, and sound – interpret the past, understand the present, and envision the future for Wabanaki people across the state of Maine. These fellowships are made possible through support from Dawnland, LLC. “In a time when many sources of direct funding for artists has been reduced or eliminated entirely, the Abbe is proud to provide this kind of grant support for Wabanaki artists to promote and further develop their incredible talents,” said Abbe Museum President and CEO, Cinnamon Catlin-Legutko. All three 2017 Fellows have repeatedly taken top prizes out west; however, traveling long distances to attend the Indian Arts marketplace is often a hardship that prevents more artists from entering. The Fellowships are intended to provide support for travel, lodging, and other costs associated with exhibiting at Indian art markets in Maine and New Mexico. Brown and Frey will attend the 2017 Southwestern Association for Indian Arts Santa Fe Indian Market (SWAIA) in August, and Neptune will attend several of the local markets in addition to SWAIA. From left to right: Jeremy Frey, Geo Neptune (photo by Rogier van Bakel, www.eagereyephoto.com, and Donna Brown. Brown, co-owner of Bangor-based jewelry studio Decontie & Brown, handcrafts jewelry and traditional beadwork made from various metals, semi-precious gemstones, and glass beads. “The beauty of nature and my culture inspires me on a daily basis. We are fortunate to be from such beautiful territory and I always try to reflect that gratitude in my work. I also gain inspiration from our elders and ancestors. As I learn more about how they adapted to available technology and methods of creating art, it encourages me to try new techniques while complementing modern styles with traditional artwork,” she said. Frey, who comes from a long line of Native weavers, specializes in ash fancy baskets, a traditional form of Wabanaki weaving. His work has been featured at the Smithsonian, Museum of Art and Design in New York City, and in many other prominent museums around the country. “Basketry is an art form that I can relate to in many ways. It is a part of my heritage, an art form that connects me to my relatives both living and passed. For me, to weave is a way of honoring my ancestors. However, it is also a way to honor future generation both through my teachings and though my personal carrying on of the art form. My work is always evolving; I try to create a newer and more elaborate version of my work each time I weave,” he said. Neptune has been making baskets since they were four years old and was awarded the title of Master Basketmaker at the age of twenty by the Maine Indian Basketmakers Alliance, making them the youngest person to ever receive the title. “I practice my art in my home community of Indian Township. As a Two-Spirit, it is my cultural responsibility to preserve traditions and pass them on to the next generation, which I have focused heavily on in the past and hope to be able to do so again, making traditional art more accessible for all Wabanaki youth,” they said. On August 3, 2017, at 5:30 pm the Abbe Museum will host an exciting new annual fundraiser in the Museum's backyard. The Abbe Midsummer, previously known as the Gathering Gala, will celebrate the importance of creative placemaking and how it supports Wabanaki artists and Native communities throughout Maine. Presented by The Abbe Midsummer Host Committee, the event consists of Native-inspired cuisine, an haute couture Wabanaki fashion show, festive live auction, and other surprises you won’t want to miss. In its 16 years in downtown Bar Harbor, the Abbe has become a Smithsonian Affiliate, an active member of the International Coalition for the Sites of Conscience, a partner to Acadia National Park, and a committed and involved community anchor. The Abbe Midsummer attracts cultural luminaries and civic leaders, as well as renowned artists, premier collectors, and devoted patrons of the arts and culture. The evening kicks off with a red carpet arrival at 5:30 pm, followed by mingling outside in the Museum's one-acre backyard while perusing silent auction items that include jewelry, art, handmade and crafted items, and the Abbe's signature decorated paddles. Live music by Penobscot musicians Eric Green and Justice for the River will keep guests entertained as they help themselves to food stations serving Native-inspired cuisine like bison meatballs, fiddleheads, and fry bread courtesy of Bar Harbor Catering Company. Photos © by Rogier van Bakel, eagereyephoto.com. From there, guests will be treated to a themed dessert and the Decontie & Brown Fashion Show. An energetic live auction will follow, which features exquisite Native art from Wabanaki artists Gabriel Frey, Jennifer Neptune, Gina Brooks, Fred Tomah, Geo Neptune, Molly Neptune Parker, Sarah Sockbeson, Decontie & Brown, and others. The live auction will be led by auctioneer Andrew Simon of the Barn Arts Collective, who will also be the evening’s emcee. "The Wabanaki communities throughout Maine and Maritime Canada are world renowned for incredible basketry and to build on that, we’re offering a new narrative on cultural adornment," said Jason and Donna Brown of Decontie & Brown. "It's a distinct way to share the beauty of our tribal design and fashion sense with the world while highlighting that we are still here! We are incredibly excited to be a part of The Abbe Midsummer and are looking forward to sharing all the inspiration that we get from our ancestors...Our people were VERY fashionable!" The majority of the auction items will be on exhibit at the Abbe Museum from now until the day of the event. They can also be viewed online at abbemuseum.org/midsummer. Tickets for the evening are $150 per person and $1,200 per table. To RSVP, please visit abbemuseum.org/midsummer, email the Abbe Museum at midsummer@abbemuseum.org, or call 207-288-3519. Absentee bidding and underwriting opportunities are also available for those who cannot attend. The Native American Festival and Basketmakers Market will celebrate 24 years on July 8, 2017, from 10 am to 4 pm at College of the Atlantic (COA). The Festival is free and open to the public and features the celebrated Native arts market, Native music, dance, storytelling, craft demonstrations, and a silent auction. A collaborative partnership between the Abbe Museum, the Maine Indian Basketmakers Alliance (MIBA), and COA, the Festival offers visitors, collectors, and gallery owners the opportunity to buy directly from the artists. This nationally renowned Indian Market features exquisite handcrafted Wabanaki ash and sweet grass baskets, wood and stone carvings, jewelry, beadwork, dolls, and other handcrafted items representing the beauty and culture of the Maliseet, Micmac, Passamaquoddy, and Penobscot people in Maine and the Maritimes. For many visitors, this is a rare opportunity to meet the artists and learn about contemporary Wabanaki arts and cultures from Maine and the Maritimes. MIBA, as part of its mission to preserve and extend the art of basketmaking within the Wabanaki communities, is responsible for bringing in dozens of new, “next generation” basketmakers and their families to the event. Many of these talented basketmakers first got their start at the Festival over the 24 years it has been in Bar Harbor and has watched it grow from a few artists selling baskets while singers and dancers performed, to a festival that displays a wide array of Native crafts and cultural demonstrations. At the time of MIBA’s founding in 1993, there were fewer than a dozen basket makers younger than the age of 50 statewide who were still practicing and learning this ancient and once prolific art form. Through 24 years of educational programs and marketing efforts, MIBA has lowered the average age of basket makers from 63 to 40 and increased numbers from 55 founding members to 200+ basketmakers today. Sponsored generously by the Maine Arts Commission and Maine Public, there is undoubtedly something for everyone at the Native American Festival and Basketmakers Market. Proceeds support the non-profit teaching and apprenticeship programs of MIBA. Parking is limited, and public transportation is available. Visitors are encouraged to use the free Island Explorer bus system which stops at COA. The grounds of the College of the Atlantic are handicap accessible. 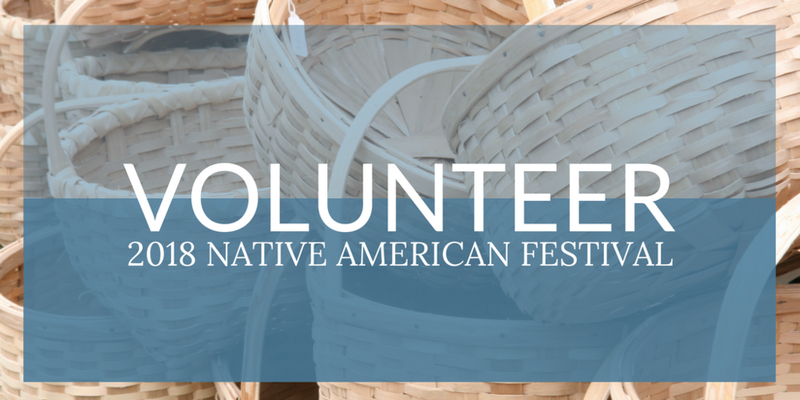 We could use your help at the Native American Festival! On July 8th, from 10 am to 4 pm at College of the Atlantic, the Native American Festival and Basketmakers Market will celebrate its 24th year! The Festival is a rare opportunity to meet local artists and see their amazing work, all while learning about contemporary Wabanaki art and culture. But in order to make it happen, we need your help. Below are the volunteer needs for this year's Festival - there's sure to be something that you would be a great fit for! Armed with walkie-talkies and fluorescent vests, the parking team will direct people to appropriate parking areas and keep an eye out for open spots. It’s like a live-action game of Tetris! At the Abbe Museum's information booth you will get to talk about all of the amazing things that are happening at the Museum: from the Abbe Midsummer to the Abbe Museum Indian Market. It's a front row seat to the festival and a great way to meet interesting people. Also at the Abbe Museum booth is an activity table that is a hit with our younger visitors. Here you will be in charge of touch-tables, crafts, or storytelling sessions. Tap into your inner child and have a great time! Your support directly affects the mission of the Maine Indian Basketmakers Alliance to save the ancient ash and sweetgrass basketry traditions among the Maliseet, Micmac, Passamaquoddy, and Penobscot Tribes in Maine. Just a few hours of your time can have a huge impact. The Abbe Museum and Dawnland, LLC are excited to announce the third annual 2017 Fellowship Program. Three fellowships will be awarded to provide support for travel, lodging, and other costs associated with exhibiting at Indian art markets in Maine and New Mexico. “In our efforts to foster and promote contemporary Wabanaki art in both a regional and national context, these fellowships are designed to help Wabanaki artists promote their work within the greater artistic communities,” said Abbe Museum President and CEO, Cinnamon Catlin-Legutko. All applicants must provide proof of acceptance or eligibility to participate in the markets for the 2017 year. Each applicant is expected to provide a closing report by no later than December 15, 2017. Ten percent of the grant award will be held until this report is filed. Visit www.abbemuseum.org/indianmarket for eligibility details, including an application. Fellowship applications received before the deadline of July 1, 2017, at midnight will be added to the pool of applicants. The application will be entered into a lottery system where eligible applications will be pulled randomly from the pool. Award notification will be made on or before July 7, 2017. Dawnland, LLC operates the Jordan Pond House restaurant, including the traditional tea and popovers on the lawn overlooking Jordan Pond and the Bubbles, and retail services at Jordan Pond House, Cadillac Mountain, and Thunder Hole. Dawnland's parent company, Ortega National Parks, LLC, has more than 45 years of hospitality experience and nearly 20 years' experience operating concessions in the National Park Service, including at Bandelier National Monument, White Sands, Muir Woods, Carlsbad Caverns, Death Valley and Gateway National Recreation Area. The Abbe Museum is gearing up for our 16th annual Waponahki Student Art Show, in collaboration with Maine Indian Education. This art show and artist reception always bring together a wonderful variety of art created by more than 50 Passamaquoddy, Penobscot, Maliseet, and Micmac students from early childhood education through high school. All the artwork will be on display in the Abbe's Community Gallery for six months. Each sponsor will have a kit named in their honor, as well as receive an invitation to the Waponahki Student Art reception held in May, which is usually a private reception reserved for students and their friends and families. The exhibit opens to the public on Thursday, May 4th. Last year's sponsorship campaign was such a huge success - not only did we hit our goal, we exceeded it! Let's do it again this year! Abbe Museum trustee David Moses Bridges passed away on Friday, January 20, 2017. David was a kind and generous artist, and his contributions and accolades are numerous. Internationally known for his art, canoe-building, and activism, David was also known as a loving husband, father, and friend. He never hesitated standing up when he needed to, and he always said what needed to be said. Our hearts go out to his family and the Sipayik community as they wrap their minds around this loss and fill their hearts with his smile, humor, creativity, and love. Many people have asked how they can make a donation in memory of David, and you are welcome to make a gift directly to his family via The DMB Fund Facebook page. The Portland Press Herald and Bangor Daily News published touching tributes in the days following David's passing.